Sooo, today is officially Day 3 of the Winter Kids Clothes Week challenge- a seasonal challenge I have participated in for the last few seasons (since I started this blog) and have really enjoyed and used as an inspiration to get sewing and spend time doing what I love. The challenge is to spend an hour a day sewing or preparing to sew kids clothes. I say preparing to sew because that is about all I have done so far this week…nothing has been sewn yet. ugh. I blame the full time job, the fact that the kids have been on snow days, and I am just too damn exhausted once I get home from work/do dinner/ bedtime for the girls etc. Lame. Anyways, I am determined to participate in this challenge at some point this week and blog about it and post my items to the KCW website– but this may not happen until the weekend…baby steps around here. Until then I will peruse my patterns and books for inspiration and stare at this pile of fabric I just got delivered and plan what I will sew when I get the energy! A big fat pile of knits from Girl Charlee including some for me. 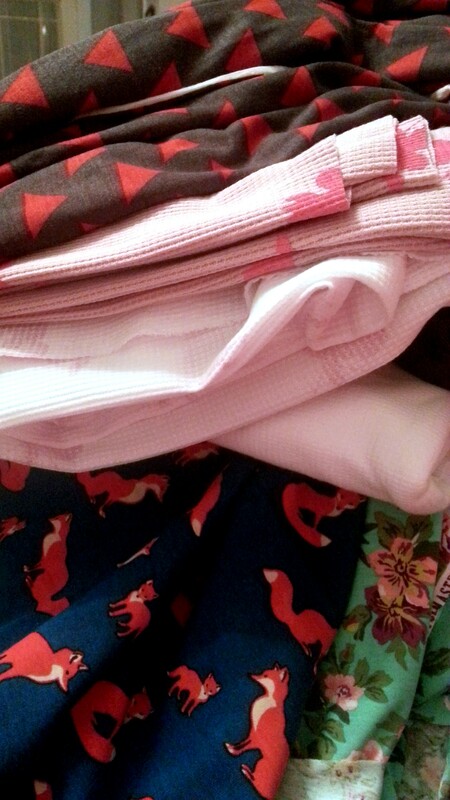 That fox fabric should be motivation enough to get to work. Hey- I did prewash the fabric already so that counts for something right? Living in WNY for my entire life, I am used to winter temps. Wind chills, lake effect snow, and inches of accumulation are a regular part of the daily weather forecast around here this time of year. But, for some reason this winter seems worse than most. Being spoiled for the last few years of mild temperatures has made us all weak! It is 8 degrees out right now, with a wind chill close to zero. What is there to do when the weather gets this cold? 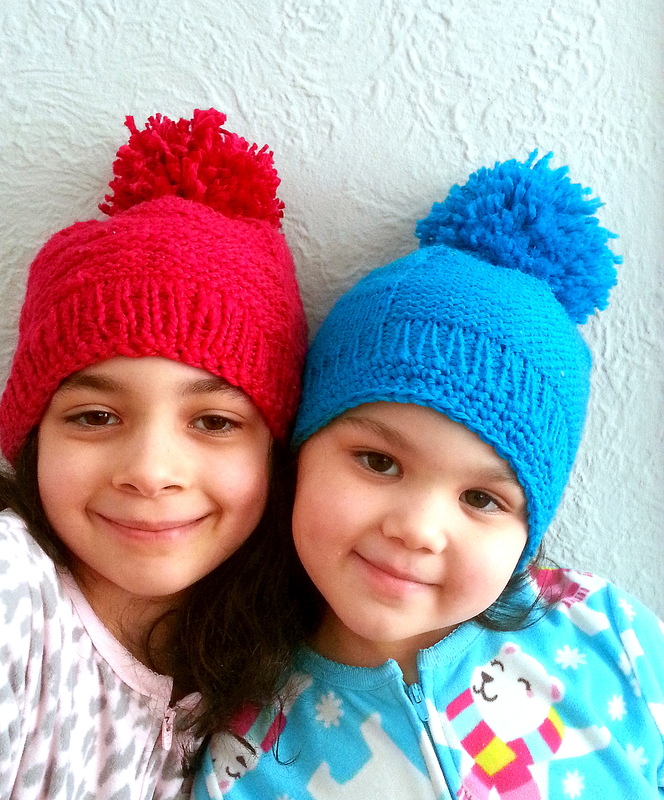 Stay inside and knit a few hats of course! As mentioned in a previous post, I used the Barley pattern from Tin Can Knits...a super simple garter and stockinette stitch hat. 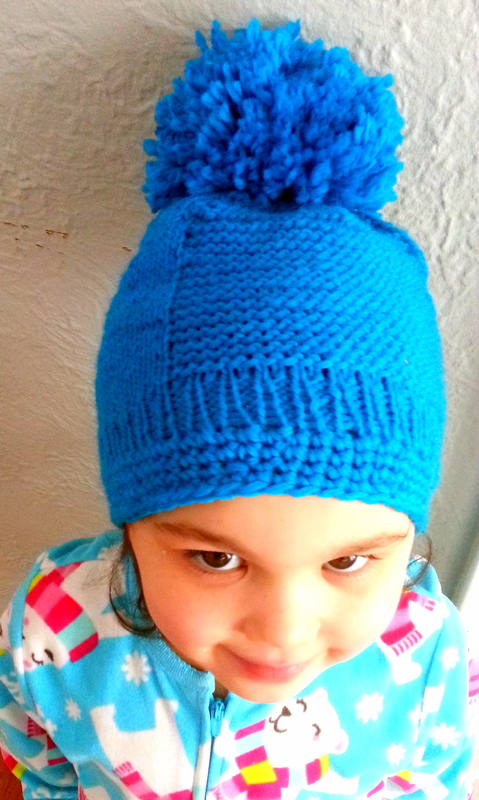 To up the cute factor and give it a bit of a retro vibe I attached a super sized pom pom to the top- I love it! The blue hat is made with what seems like a never ending skein of Eco+ yarn I picked up from Purl Soho a few years back, and the red is in a cotton blend (thick and thin) whose name I can’t remember! Pictured together they bring a nice dose of color to a dreary winter day! Even if the day is simply spent at home in your pajamas! Someone recently celebrated their 7th birthday! Wow, can’t believe we have a seven year old in the house. While I am mourning the end of my “little” girl, I am so proud of the girl she is becoming. Always inquisitive, curious, observant, sensitive and sweet- that is my Isabel! This year for her birthday she wanted a simple tea party with a handful of girlfriends at our house. Didn’t quite turn out that way- we came up with a winter wonderland theme (that became more and more elaborate!) and ended up with over a dozen little girls as guests. Crazy fun. 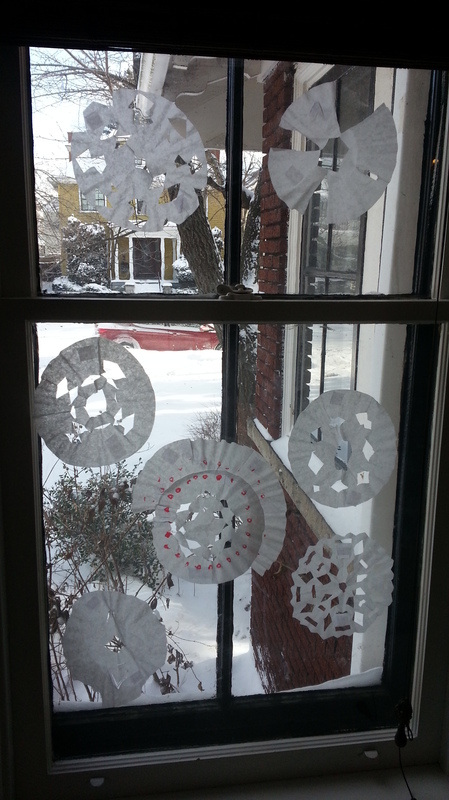 To begin preparing for the decorations the girls and I made dozens of paper snowflakes to decorate the windows, mirrors and walls. Next came the shopping! Thinking this would be the easiest part proved me to be foolish- even though winter is in full swing around here trying to find snowflake or winter themed decorations was very difficult- apparently I should have been shopping for this a few months ago…stores are already focused on spring! We basically bought any snowflake themed item we could find and kept our colors to white and a frosty light blue/silver theme. Now that the decorations and theme were set I got to sewing. 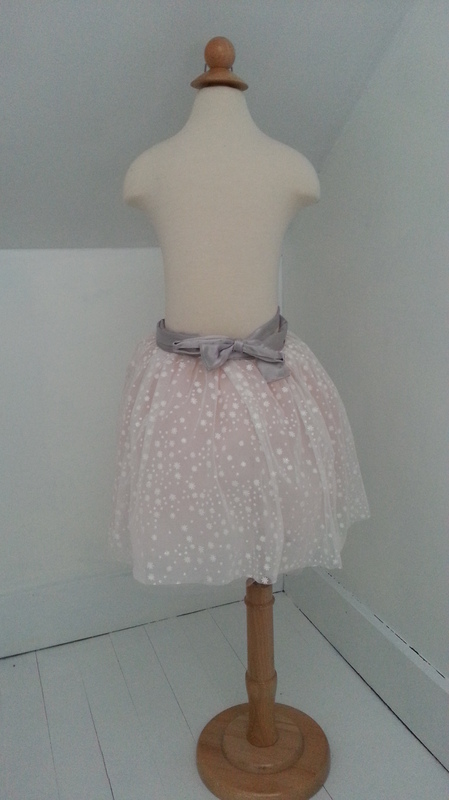 Every Snowflake princess/ballerina needs a beautiful skirt right? 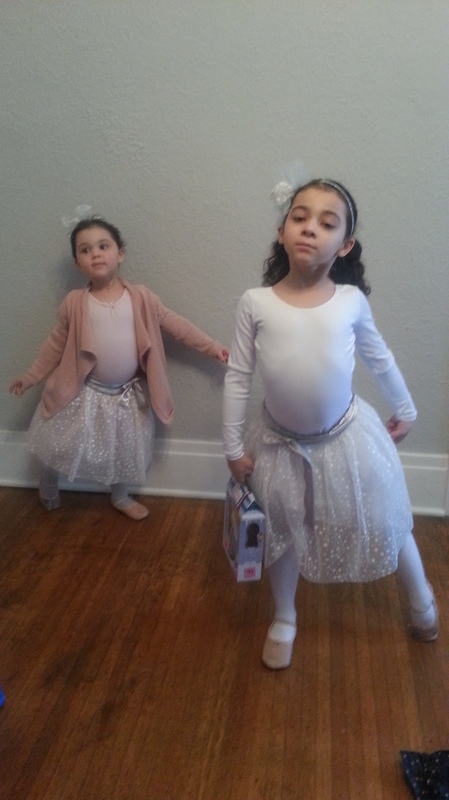 I designed and sewed coordinating tutu skirts for the girls, with layers and layers of tulle and a glittery snowflake tulle overlay with a silver satin ribbon at the waist and ties in the back or around to the front. 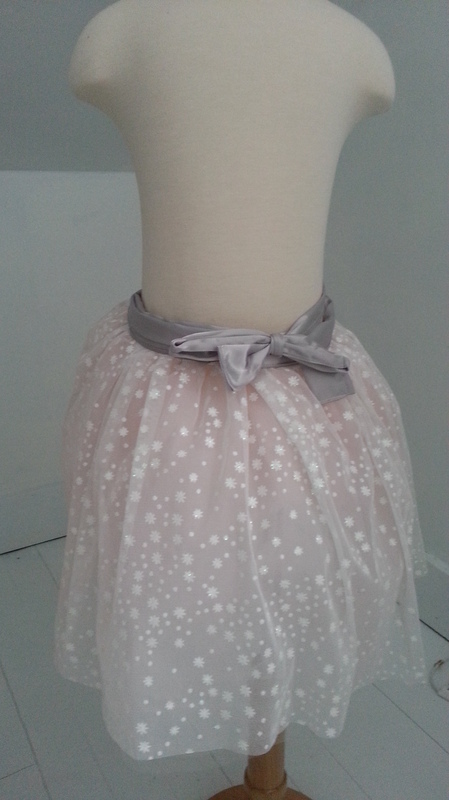 With Isabel’s I chose to handpleat each layer of tulle, sew them onto a scrap fabric waist and then sew the ribbon at the waist- very, very time consuming project! I simplified Eleanor’s (aka learned my lesson and took a shortcut!) 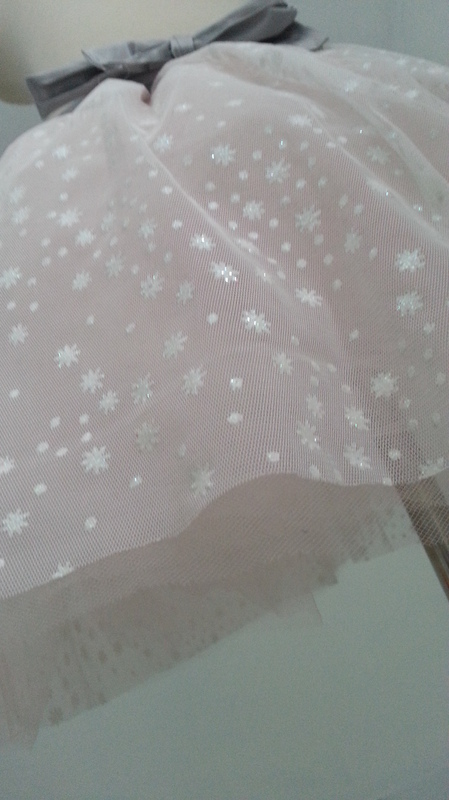 and just gathered the tulle layers and sewed them directly to the ribbon. I think both of them turned out beautifully! Bonus- the girls have been dancing around the house with them on all week. The ability to tie the ribbon will also allow them to grow with them, and should fit for years to come. 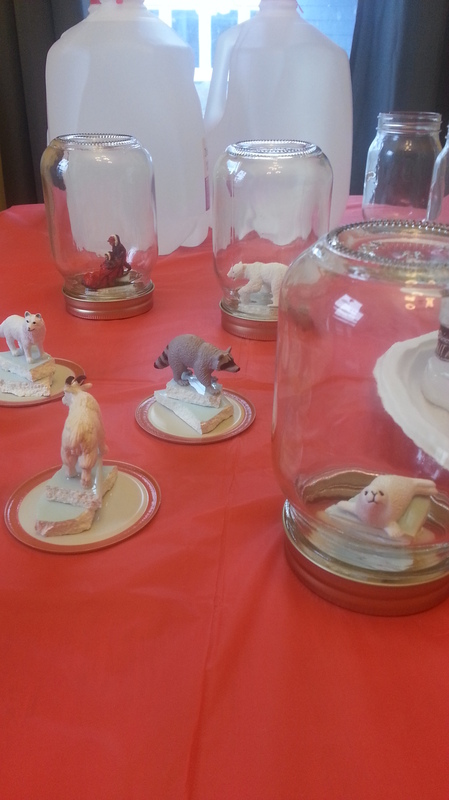 Another simple project that seemed to take over my life for a week before the party was the craft- making snowglobes. I picked up these great plain canning jars at the Dollar Tree, a small container of glycerin (from Joanns), various glitters, distilled water and the figurines. Any plastic or ceramic figurine would work- but this proved to be the hardest part! I originally planned on putting in dancing ballerina figures- remember the type that used to be everywhere as cupcake toppers- apparently not sold anywhere anymore? Ugh…so I had to be creative. 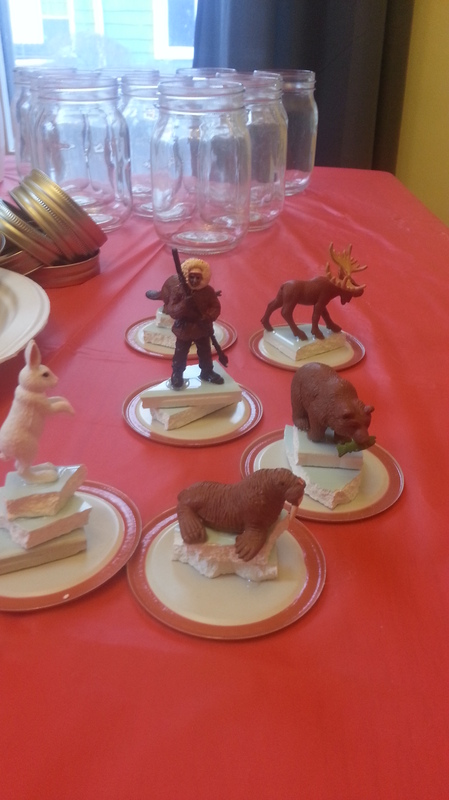 I picked up a few arctic animal toobs from the craft store. Too small. When placed in the jar they barely reached the top of the lid. So, I found myself digging around my basement and came across an old box of light blue ceramic tiles…and I had an idea! I broke up a number of the tiles with a hammer and glued them to look like ice/snow and glued the figure on the top! Problem solved. I prepared ahead and had the figures glued to the stacks, glued to the lids before the party. I used the most toxic smelling glue- E600, to ensure they would be waterproof and let them set for about 36 hours before the party. 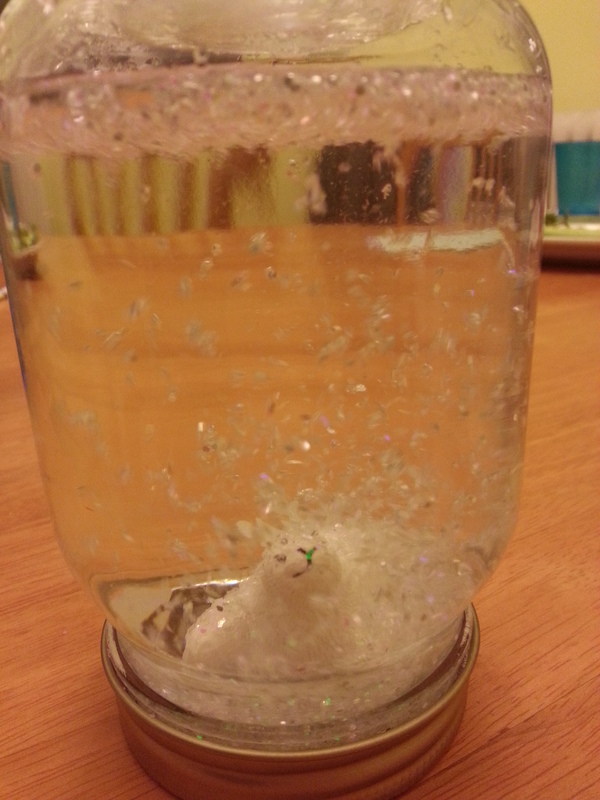 When we were ready at the party the girls chose what figure they wanted and we poured the distilled water into the jars and added a few drops of glycerin and the girls got to work adding al of their glitter and little snowflake confetti and we screwed on the lids to shake them up. Plenty of screwing and unscrewing came as girls added more and more glitter! In the end they turned out great, and who doesn’t like to shake up a glittery snow globe! I’m back! Where have I been, has it really been over a month since my last post? Alot has been happening around here, and unfortunately this blog has been completely neglected. My daily life has changed drastically, and trying to find that ultimate balance of what I HAVE to do and what I WANT to do has been difficult to manage. The biggest change is that I started working full time in the beginning of December. Going from being a part time librarian to a full time one has been a bit of a challenge. I have worked full time before, but this is the first time I have been full time with two kids- big difference! This has meant I have had to give something up, and this blog was the obvious choice. 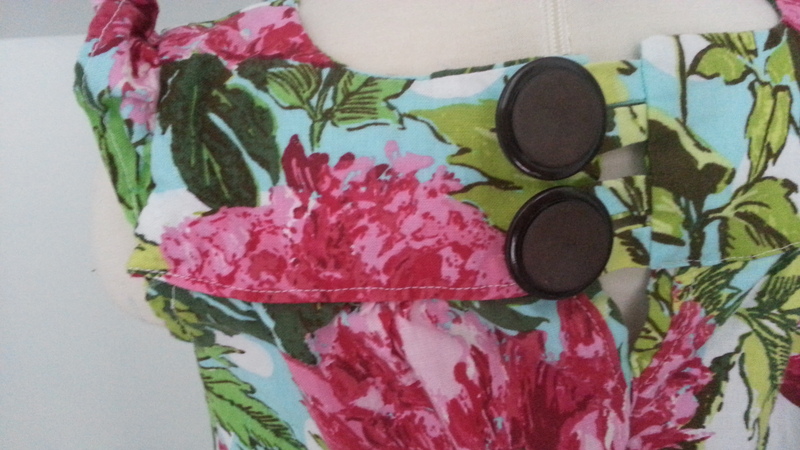 Before I chose to return to work full time I contemplated giving up my career and focusing my energy and time into my crafting by opening up my own shop in town, teaching others to express their creativity by learning to sew and supplying them with the fabric choices I have been unable to find locally. I really wanted to pursue this dream and would spend hours looking online at retail spaces for rent, exploring wholesale fabric options and imagining the layout and decor of my shop. This may be a dream I pursue one day but not today. After considering this at length I started thinking about all of the hours I would have to put in, the financial strain it would incur, and the instability and anxiety it would bring to our family. Being offered a full time job as a Librarian is a big score- jobs in my field are not easy to come by- especially where I live where there are so many unemployed library graduates. Being offered a full time job as a librarian with an academic schedule (summers off!) with the possibility of tenure are even more sought after. So, here I am. A month with no blog post and still struggling with the balance. This doesn’t mean I haven’t been creating- I have! I want to use this post to highlight some of the things I have been working on, hopefully it will inspire me to keep posting, and not give up on what brings me joy- this blog and what I choose to highlight on it. First- clothing. My favorite new book for children’s clothing is Happy Homemade: Sew Chic Kids: 20 Designs That are Fun and Unique-Just Like Your Kid! that I purchased from Amazon. 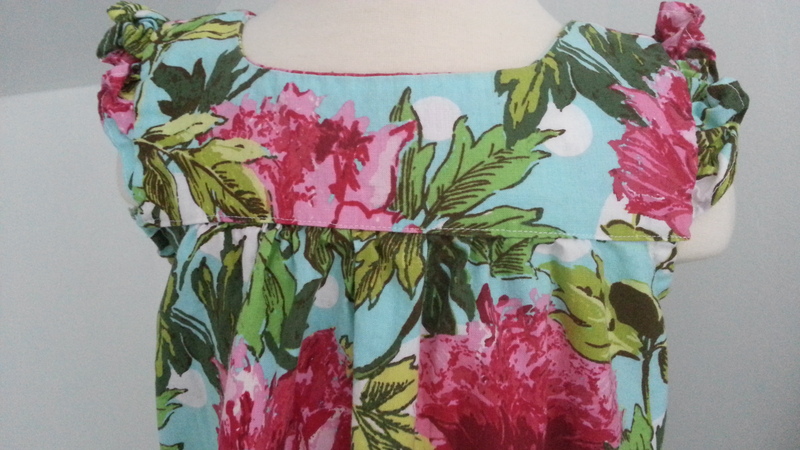 A few days before Christmas I decided to whip up matching dresses for the girls and went with pattern A a dress with frilled shoulders. The pattern is very similar to Rae’s Geranium dress, which I had been eyeing for a while but have yet to get around to purchasing! I chose to go with an unconventional print for a Christmas dress, I wanted something bold and colorful and chose this Amy Butler print reminiscent of a bold floral from the 40’s. I absolutely love how they turned out and am sure once the weather warms up around here my girls will get more wear out of these dresses…and they worked perfectly to bring a little sunshine to this cold, snowy and miserable winter we have been having around here! Now for me- I purchased McCall’s pattern 6744 on sale at Joanns over the summer and never got around to making anything with it. When I purchased my last order of knit fabric from Girl Charlee for the Queen City Market I did last month I stocked up on a few extra yards of this awesome feather fabric to use for this dress. 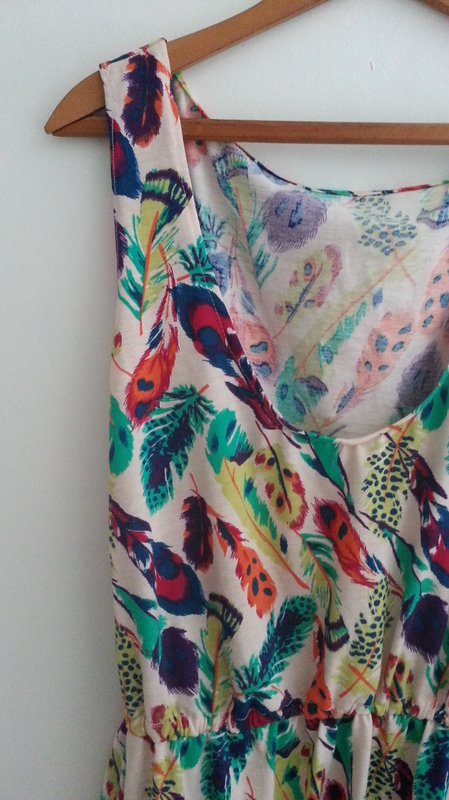 I picture myself wearing it with leggings and a light cardigan- so comfortable and easy. 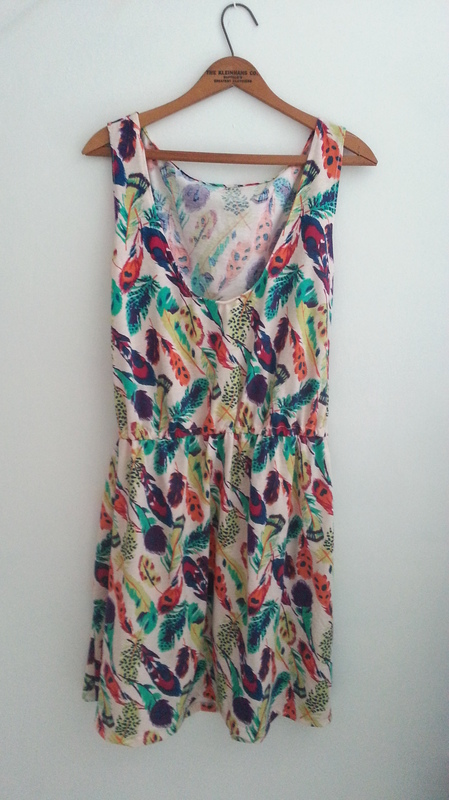 The dress was incredibly easy to make, I whipped it up from beginning to end in less than two hours- not bad. I found the top to be too large though, and may need to shorten the straps at the shoulders to pull the neckline up a bit- but other than that it is perfect! I believe I used about 2 yards of fabric so this cost less than $15 to make…so of course I have my eye on a number of knit fabrics to make a few more of these babies…I know what I will be wearing this summer! 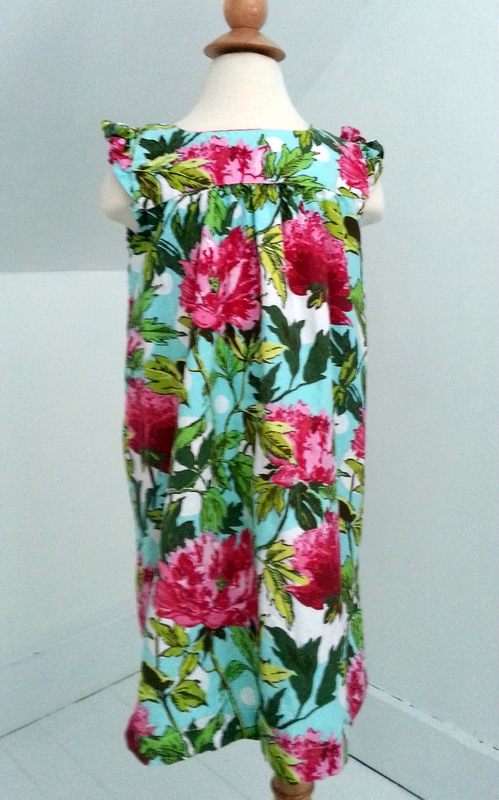 The pattern also has options for a maxi dress and a pretty cross over bodice version. I think for my next version (once I choose a fabric) will be the cross over version in a darker print fabric…but we’ll see. I have also been knitting a bit. I find knitting to be very meditative, and starting a new job can certainly be stressful. 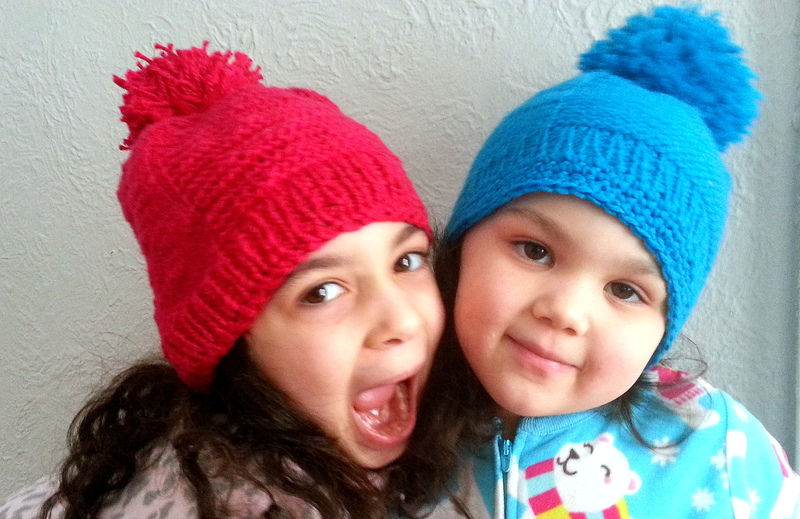 Using the Barley pattern from Tin Can Knits I knit a red hat for Isabel and am working on a Blue version for Eleanor. This is a simple but interesting pattern, and would be perfect for beginners. I am planning to make cute pom poms to put on top of each when I am done with Eleanor’s, although this is not in the original pattern I think the girls will like them! Next post will show the details of Isabel’s birthday party…or should I call it the winter wonderland princess tea party that I am so glad is over?